Picture a grass covered lawn. 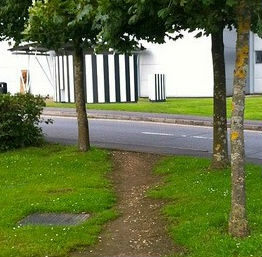 Imagine walking across the grass to take a short cut to the other side. The rat, the hare and the tortoise. We are all Creators. We Create our Self, life, happiness, relationships, career, wealth and work performance results. The Christmas and New Year break offered all a great opportunity to ‘work on yourself’. Many business owners prioritise their actions in a specific order. I believe these priorities should be in reverse order.